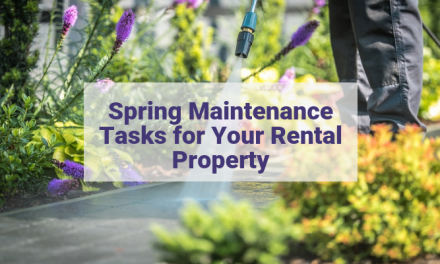 As a rental property owner or manager, you need to ensure your property looks it’s best at all times in order to attract renters and generate the best rental rate. Maintaining appeal and enhancing desirability can be a challenge when working with a small space that lacks good lighting, making it look and feel smaller than it actually is. A small apartment with bad lighting can also create an uninviting atmosphere. Your renters will want to find creative solutions to make the apartment look and feel brighter and larger, but may feel limited on how to make improvements. 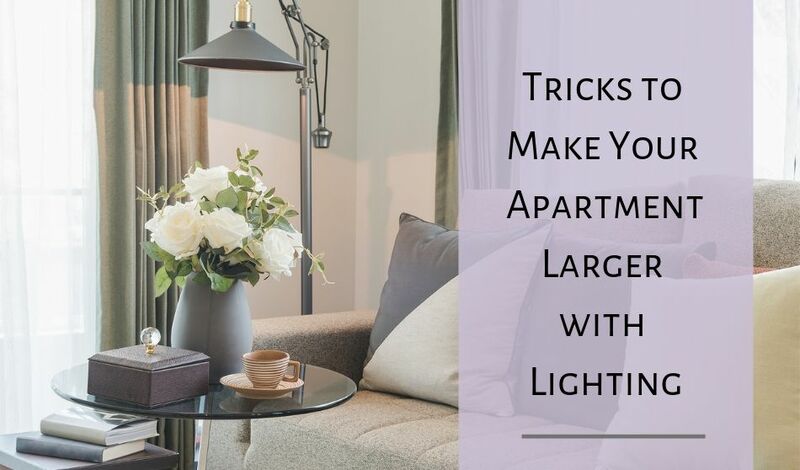 As the property owner, you can consider these small upgrades to improve the lighting so the space feels larger and more welcoming for your tenants. You’ll also find helpful decor tips to share with your renters to help make their small space feel larger. Utilizing natural light and colors will help illuminate and lift the mood of your apartment. Add function and visual appeal with lighting layers. It is important to have the proper fixtures for your lighting layers. They will determine the effect that will be created. However, the right effect cannot be created without the right bulbs. Combining all these factors together will help transform your small, dark apartment into a warm, comfortable space you can come home to at the end of the day. Make use of any natural light you have to eliminate shadows and open up the apartment. Stay away from thick curtains because they block natural light from entering through the windows. Instead, choose light colors, thin fabrics, and adjustable shades. If privacy is a concern, go for light colored honeycomb shades. Enhance natural light by placing mirrors across from windows to reflect light. The space will look like it has more windows, making it seem bigger. You can also put them above furniture and entryways. The colors in a room also have a huge impact on brightness and size. Light colors should be used instead of dark. Take a dark wall and paint it a bright color, such as white or tan. If painting your walls isn’t an option, then use these colors for your fabrics and decor. Go for lighter shades of furniture instead of dark. Shiny surfaces are best for reflecting light, increasing brightness. Throw a washable light-colored slipcover over your couch. Light colored lamp shades give off more light. If you want to flood light into a dark room, then glass or mesh shades will do the trick. Or choose fixtures that have exposed bulbs as another way to flood light. Avoid dark shades unless you want to contain light to above and below fixtures. Combining the three lighting layers – ambient, task, and accent – will add function and decorative elements. General lighting is a layer that usually uses an overhead fixture to provide ambiance. This fixture, however, offers a minimal amount of lighting, insufficient for performing tasks, such as preparing food in the kitchen or reading. Supplement overall lighting by mounting battery-operated tap lights under your kitchen counter with mounting tape. Aside from its easy installation, it is a cheap way to add a task lighting layer. Shed some lighting on a desk for reading or any work you do with a desk lamp. You can also give your apartment “dimension” with accent lighting. Highlight artwork, plants, and other objects to make the walls seem like they are fading, making the room feel bigger. The right fixture is required to achieve your lighting purpose and should match the look of your apartment. Increase the size of the space by focusing on the height of your ceiling. Large bold ceiling fixtures, such as stylish hanging pendants or chandeliers, distract from the small square footage and add drama. Instead, your eyes will be diverted towards the fixtures and give the illusion that the area is larger. Use larger pendants as a focal point in your dining room, bedrooms, or hallways. Chandeliers work well in living rooms, hallways, and bedrooms. Since one fixture won’t provide enough light, supplement them with extra fixtures. Combine various fixtures that serve different purposes in your apartment. Evenly spread lighting throughout the room with wall lights and eliminate dark corners. Make a statement by placing tall adjustable floor lamps in an empty space. Instead of removing dark corners, feel free to add contrast to the room by strategically placing these fixtures to showcase dark corners for visual appeal. Most apartment bathrooms come with overhead lighting which is not ideal because it produces harsh overhead lighting. Worse, you’re left with dim lighting around your vanity, making your bathroom feel smaller. Improve the lighting in your bathroom by supplementing your overhead lighting with a slim sconce on the wall next to your vanity. It opens up the room by removing the harsh lighting and illuminating the vanity. Sconces are also useful in small bedrooms and hallways. Sometimes simply clearing surfaces and tidying up any clutter will make your apartment look bigger. Replace that clutter with a vertical floor lamp which won’t use much floor space. Get a floor lamp that can provide multiple layers. Eliminate dark corners by using the fixture for task lighting. Floor lamps are fit for narrow spaces, too. Another way to get rid of dark corners is to install recessed spotlights in the ceiling. They don’t take up any space and creates accent lighting for the appearance of a larger room. Place them in a reading corner or beside a sofa in your living room. Adding recessed lighting will ensure you have enough illumination. If you prefer fixtures with easy installation, track lights in the ceiling will keep your apartment clutter-free. They have multiple directional fixtures that let you re-position them towards dark corners as a spotlight. Reflect light off the ceiling and walls to brighten the space and avoid harsh light. These fixtures should be used in kitchens and hallways. Track lighting tends to be an eyesore so add elegance and style by suspending pendants from it to distract from the fixture. Consider allowing your tenants to install their own light fixtures to brighten up their small space. 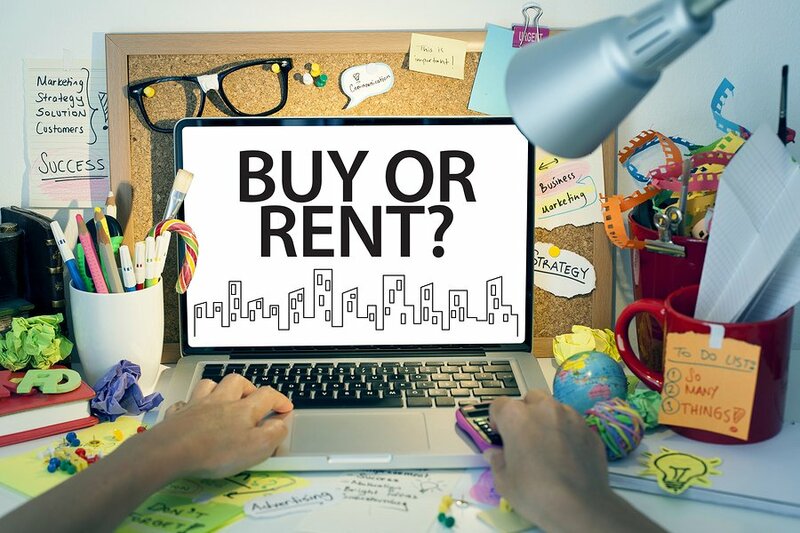 If you choose this option remember to remind them to seek approval first and that any damage may affect their security deposit refund. 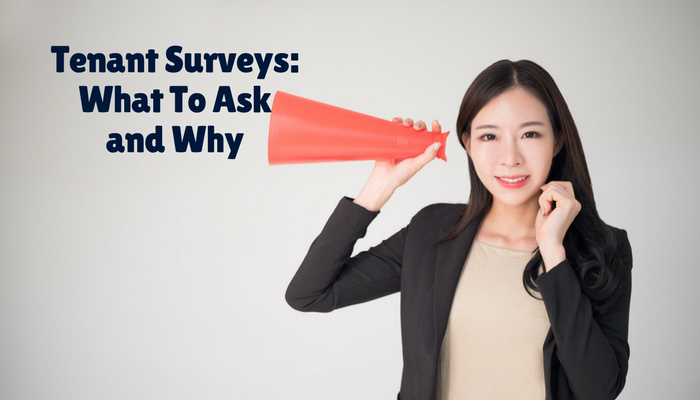 You can may want to consider hiring your own electrician or contractor to perform the work and having your tenant pay for the changes if it’s something they are requesting. Bulbs affect the color and brightness of a home or apartment. Wattage measures brightness, while Kelvins measure color temperature. The more wattage it has, the more light it will emit. To brightly illuminate the space, increase the wattage of the bulbs to the maximum amount the overhead lighting can handle using cooler color temperature bulbs. For a warm and inviting feel incandescent bulbs are a good choice. They are lower on the Kelvin scale, producing a soft yellow light that is ideal for bedrooms. Unlike blue lights, which disrupts the regulation of sleep, incandescent bulbs help you rest peacefully through the night. If you’re looking to save energy and money on your utility bill, go for LEDs. They emit the same amount of light as lower wattage bulbs using less energy. And while they are pricier upfront, their lifespan exceeds incandescent bulbs, eliminating the inconvenience of having to replace them. Bright white color temperature bulbs should be used in your kitchen and bathrooms. This color is between the white and blue range on the Kelvin scale. Place soft white bulbs, which produce a yellowish color, in bedrooms and living rooms for a warmer vibe. For reading corners, it’s best to go for the bluish color temperature of daylight. Note that the correct bulb will not only provide adequate lighting, but it will set the tone of the space. Dimmers control light intensity and instantly change an apartments atmosphere regardless of the time of day. High and low switches or 3-way bulbs are available options. Not to mention, they are easy to install. Implement all the factors we discussed to give your apartment a warmer feel. Disperse light throughout the room with multiple adjustable mirrors and repaint walls with muted pastels to increase brightness. You might want to consider using a darker paint in a bedroom if it is a small, darkly lit room to give it a cozy, intimate vibe. Avoid using bright colors because they can make the space look dull. Hang a pendant with frosted glass to diffuse light using 50 watt bulbs for soft lighting. Bedrooms and living rooms should use soft white bulbs in the 2700-3000K range. Place bulbs with 4000-5000K in kitchens, bathrooms, and other bright spaces for a warm white color. Don’t stray from these suggested color temperatures. Using these techniques, you can enhance the ambiance of your apartment, without too much hassle or expense.